I first met Senator Jon Kyl (R-AZ) back in February 2009, when he invited Geert Wilders to speak and show his movie Fitna in the Lyndon B. Johnson Room of the United States Senate. The topic of the day was freedom of speech, which Sen. Kyl consistently champions — unlike certain of his Republican colleagues in the Senate. The photos at right were all taken that afternoon. Before the screening of Fitna, Mr. Wilders and Sen. Kyl discussed the Islamization of the West and the dangers to free speech posed by the encroachment of sharia in Europe and the United States. The most recent piece of proposed legislation sponsored by Sen. Kyl should not have been necessary. If our country were actually governed by the Constitution, it would be entirely superfluous. However, the Constitution has been widely disregarded for decades, a systemic failure that Muslim Brotherhood infiltrators have found serendipitous for advancing their cause in the USA. Islam can never gain a significant toehold in the United States unless it can somehow prevent the unfettered discussion of sharia. Researchers who delve into Islamic law and its practical effects tend to observe that sharia runs entirely contrary to the United States Constitution, the Universal Declaration of Human Rights, and the laws and constitutions of all European countries as well as the EU. To point this fact out in public is to thoroughly discredit Islamic doctrine. In order to suppress the discussion of such matters, the agents of the Muslim Brotherhood must make “discrediting Islamic doctrine” the equivalent of “defaming a religion” — which, when the religion in question is Islam, is a capital crime under sharia. They have successfully pursued their case in the United Nations via Resolution 16/18, and are now seeking to enforce its provisions in the United States. Their ambitions in this regard have been stymied up until now by an annoying piece of paper known as the First Amendment. But the Muslim Brotherhood has a multi-pronged strategy for disabling the Bill of Rights, and is slowly eroding its protections on a case-by-case basis, nibbling away like termites on the freedoms we all enjoy. One Islamic tactic is an attempt to create a precedent for the “test of consequences” provisions of the UN resolution. This aspect of the Brotherhood’s strategy — as exemplified by the widespread response to the Breivik massacre — has been discussed here at length in the past. Another more successful ploy is what is commonly known as “lawfare”. This involves the filing of frivolous lawsuits against those who criticize Islam and warn about the encroachment of sharia in America. Regardless of the merits of the case — which are usually non-existent — fighting it can bankrupt a defendant, whereas the plaintiff can draw from a virtually bottomless well of petrodollars. Targets of such lawfare, especially corporations, tend to cave in quickly and settle out of court, thus ceding just a little more legal territory to the rule of sharia. It is in order to shore up our Constitutional protections against such tactics that Sen. Kyl has sponsored a bill known as the “Free Press Act”. Before we get into the details of his proposed legislation, however, I’d like to point out that this bill is an example of the Brussels Process in action. This is not to say that Sen. Kyl is aware of what occurred in Brussels on July 9, but rather that he has been working in parallel towards the same goal, for the same reasons. This synergy and convergence of international efforts to reaffirm our civil liberties is what will guarantee our success. It is not just one group or one country or one coalition working towards the same end, but hundreds or thousands of different elements, all striving to reclaim our threatened liberties. We are, in a way, the Western mirror of the Muslim Brotherhood — small, separate, and disparate groups bound together by common principles and working to realize those principles through practical action. And now for the details of the Free Press Act, a bill sponsored by Sen. Jon Kyl. Most of the text below (bill S. 3493, obtained through thomas.loc.gov) is written in dense legalese, but the first five or six paragraphs will give the reader an idea of what he aims to accomplish. The purpose is to give the target of a frivolous lawsuit an opportunity to move for summary dismissal. Such a motion will force the plaintiff filing the suit to demonstrate that his action is substantive and not frivolous. If he fails to do so, the suit will be dismissed and the plaintiff required to pay the defendant’s costs. 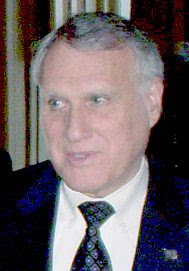 On August 2, 2012, Sen. Kyl (R-AZ) introduced a bill, S. 3493, to protect first amendment rights of journalists and internet service providers by preventing States and the United States from allowing meritless lawsuits arising from acts in furtherance of those rights, commonly called “Strategic Lawsuits Against Public Participation” or “SLAPPs”, and for other purposes. This is a narrower version of their earlier anti-SLAPP bill — it creates an anti-SLAPP motion just for journalists and bloggers, and allows fee shifting and removal of cases to federal court. Rep. Howard Coble (R-NC) is expected to introduce his own version of this bill soon. Mr. Kyl. Mr. President, I rise today to introduce the Free Press Act. The FPA would create a Federal anti-SLAPP statute for journalists, bloggers, and other news media, authorizing them to bring a special motion to dismiss lawsuits brought against them that arise out of their speech on public issues. Once the special motion to dismiss is brought, the nonmoving party must present a prima facie case supporting the lawsuit; if the nonmovant fails to do so, the lawsuit is dismissed and fees and costs are awarded to the movant. Such evidence as, in the judgment of the law, is sufficient to establish a given fact and which if not rebutted or contradicted, will remain sufficient. [Prima facie evidence], if unexplained or uncontradicted, is sufficient to sustain a judgment in favor of the issue which it supports, but [it] may be contradicted by other evidence. The established meaning in Virginia, then, of the term “prima facie evidence” appears to be perfectly orthodox: It is evidence that suffices, on its own, to establish a particular fact. But it is hornbook law that this is true only to the extent that the evidence goes unrebutted. “Prima facie evidence of a fact is such evidence as, in judgment of law, is sufficient to establish the fact; and, if not rebutted, remains sufficient for the purpose.” 7B Michie’s Jurisprudence of Virginia and West Virginia 32, 1998, (emphasis added). Virginia v. Black, 538 U.S. 343, 369-70, 2003, Scalia, J., concurring in part, concurring in judgment in part, and dissenting in part. “Under [the prima facie evidence] standard, it is plaintiff’s burden to demonstrate the existence of every fact required to satisfy both the forum’s long-arm statute and the Due Process Clause of the Constitution. The prima facie showing must be based upon evidence of specific facts set forth in the record. To meet this requirement, the plaintiff must go beyond the pleadings and make affirmative proof. However, in evaluating whether the prima facie standard has been satisfied, the district court is not acting as a factfinder; rather, it accepts properly supported proffers of evidence by a plaintiff as true and makes its ruling as a matter of law. When the district court employs the prima facie standard appellate review is de novo.” United States v. Swiss American Bank, Ltd., 274 F.3d 610, 618-19, 1st Cir. 2001, citations and quotations omitted. The FPA makes its special motion to dismiss available in cases arising out of speech on matters of public concern. It bears emphasis that “matters of public concern” include commentary on consumer products. As the Pennsylvania intermediate court of appeals recently noted, in American Future Systems, Inc. v. Better Business Bureau of Eastern Pennsylvania, 872 A.2d 1202, 1211, Pa. Super. 2005, a “statement regarding the effectiveness of a consumer product addresses a matter of public concern.” Similarly, the U.S. Court of Appeals for the Ninth Circuit, in Unelko Corp. v. Rooney, 912 F.2d 1049, 1056, 9th Cir. 1990, concluded that “statements about product effectiveness” address matters of public concern. And the Second Circuit, in Flamm v. American Assoc. of University Women, 201 F.3d 144, 150, 2d Cir. 2000, has held that a negative evaluation of an attorney’s services, directed to potential customers, addresses a matter of public concern…. The FPA thus protects speech consisting of consumer commentary that focuses solely on the quality, reliability, or effectiveness of a consumer product, regardless of whether such commentary addresses broader social issues. The quality of goods and services offered to the public is itself a matter of public concern. The FPA protects the dissemination of any information about a product that would be of interest to potential consumers. Finally, the FPA allows removal to Federal court to be sought by a defendant. Although current law only allows removal when the Federal question appears on the face of a well-pleaded complaint, this rule is only statutory. Congress is well within its power to allow removal of cases that raise a colorable Federal defense. Two current Federal statutes clearly allow removal by defendants based only on the assertion of a Federal defense. One is 28 U.S.C. 1442(a), which allows Federal officers, among others, to remove a state civil action or prosecution to federal court. The other is 9 U.S.C. 205, which allows removal of disputes that appear to be covered by an international arbitration agreement. Although such a limitation is not stated on the face of section 1442, the Supreme Court has long held that “federal officer removal must be predicated on the allegation of a colorable federal defense.” Mesa v. California, 489 U.S. 121, 129, 1989. See also id. at 133-34, which notes that “an unbroken line of this Court’s decisions extending back nearly a century and a quarter have understood all the various incarnations of the federal officer removal statute to require the averment of a federal defense.” The most recent Supreme Court pronouncements confirm that ‘Article III ‘arising under’ jurisdiction is broader than federal question jurisdiction under 1331,” Verlinden B.V. v. Central Bank of Nigeria, 461 U.S. 480, 495 (1983), and note that Article III federal-question jurisdiction “has been construed as permitting Congress to extend federal jurisdiction to any case of which federal law potentially forms an ingredient,” Franchise Tax Board v. Construction Laborers Vacation Trust, 463 U.S. 1, 8 n.8 (quoting Osborn v. Bank of the United States, 9 What. 738, 823 (1824)). This Act may be cited as the “Free Press Act of 2012”. Sec. 2. Special Motion to Dismiss. 4201. Special motion to dismiss. 4203. Exceptions for governmental litigation and commercial speech. 4205. Special motion to quash. 4207. Fees, costs, and sanctions. (a) In General. — A representative of the news media (as defined in section 552(a)(4) of title 5) may file a special motion to dismiss any claim asserted against the representative of the news media in a civil action if the claim arises in whole or in part from an oral or written statement or other expression that is on a matter of public concern or that relates to a public official or figure. (2) not later than 30 days after the date of removal, if the claim is removed to Federal court under section 4206. (c) Amendments. — If a special motion to dismiss is filed under this section as to a claim, the claim may not be amended or supplemented until a final and unappealable order is entered denying the special motion to dismiss. (1) Moving Party. — A representative of the news media filing a special motion to dismiss under this section as to a claim shall have the burden of making a prima facie showing that the claim is a claim described in subsection (a). (B) supported by a prima facie showing, based on admissible evidence, of facts sufficient to sustain a favorable judgment. (3) Failure to Meet Burden. — If the nonmoving party fails to meet the burden required for a claim under paragraph (2), the claim shall be dismissed with prejudice. (a) In General. — Except as provided in subsection (b), upon the filing of a special motion to dismiss under section 4201, discovery proceedings in the action shall be stayed until a final and unappealable order is entered on the special motion to dismiss. (B) relates solely to the third-party claim or cross claim. (2) Exception. — Upon motion and for good cause shown, a court may order that specified discovery be conducted. (2) arises out of a statement offering or promoting the sale of the goods or services of the person making the statement. An aggrieved party may take an immediate interlocutory appeal from an order granting or denying in whole or in part a special motion to dismiss under section 4201. (a) In General. — A person whose personally identifying information is sought in connection with a claim that arises in whole or in part from an oral or written statement or other expression that is on a matter of public concern or that relates to a public official or figure, or a person from whom such information is sought in connection with such a claim, may file a special motion to quash the request or order to produce the information. (1) Moving Party. — A person filing a special motion to quash a request or order under this section shall have the burden of making a prima facie showing that the request or order is a request or order described in subsection (a). (3) Failure to Meet Burden. — If the nonmoving party fails to meet the burden required for a claim under paragraph (2), the request or order to produce the personally identifying information shall be quashed. (1) In General. — Except as provided in paragraph (2), a civil action in a State court that raises a claim that colorably appears to be a claim described in section 4201(a) may be removed to the district court of the United States for the district and division embracing the place where the civil action is pending by a party who may file and who seeks to file a special motion to dismiss under section 4201 that asserts a colorable defense based on the Constitution or laws of the United States. (2) Exception. — Removal may not be requested under paragraph (1) on the basis of a third-party claim or a cross claim asserted by a defendant. (3) Remand. — If a civil action is removed under paragraph (1), and a final and unappealable order is entered denying the special motion to dismiss filed under section 4201, the court may remand the remaining claims to the State court from which the civil action was removed. (1) In General. — A proceeding in a State court in which a request or order that colorably appears to be a request or order described in section 4205(a) is sought, issued, or sought to be enforced may be removed to the district court of the United States for the district and division embracing the place where the civil action is pending by a person who may file and who seeks to file a special motion to quash under section 4205 that asserts a colorable defense based on the Constitution or laws of the United States. (2) Limitation. — If removal is requested under paragraph (1) for a proceeding in which a request or order described in section 4205(a) is sought, issued, or sought to be enforced, and there is no basis for removal of the remainder of the civil action in connection with which the proceeding is brought, or no party has requested removal of the remainder of the civil action, only the proceeding in which the request or order described is section 4205(a) is sought, issued, or sought to be enforced may be removed. (a) Attorney’ s Fees and Costs. — Except as provided in subsection (c), a court shall award a person who files and prevails on a special motion to dismiss under section 4201 or a special motion to quash under section 4205 litigation costs, expert witness fees, and reasonable attorney’s fees. (b) Frivolous Motions or Petitions. — Except as provided in subsection (c)(1), if a court finds that a special motion to dismiss under section 4201, a special motion to quash under section 4205, or a notice of removal under section 4206 is frivolous or is solely intended to cause unnecessary delay, the court may award litigation costs, expert witness fees, and reasonable attorney’s fees to the party that responded to the motion or notice. (1) Governmental Entities. — The Federal Government and the government of a State, or political subdivision thereof, may not recover litigation costs, expert witness fees, or attorney’s fees under this section. (2) Novel Legal Questions. — A court may not award litigation costs, expert witness fees, or attorney’s fees under subsection (a) if the grant of the special motion to dismiss under section 4201 or the special motion to quash under section 4205 depended on the resolution of a novel or unsettled legal question in favor of the movant. Sec. 3. Relationship to Other Laws. Nothing in this Act or the amendments made by this Act shall preempt or supersede any Federal or State statutory, constitutional, case, or common law that provides the equivalent or greater protection for persons engaging in activities protected by the First Amendment to the Constitution of the United States. (4) Interlocutory orders granting or denying in whole or in part special motions to dismiss under section 4201. (20) for litigation costs, expert witness fees, or reasonable attorney’s fees awarded by a court under chapter 182 of title 28 or under comparable State laws. (2) apply to a claim filed on or after the date of enactment of this Act. (2) for a claim described in paragraph (1), the periods under sections 4201 and 1446 of title 28, United States Code, as amended by this Act, shall begin on the date of enactment of this Act. Section 4201. Special Motion to Dismiss. A “representative of the news media” (as defined in FOIA) may file a special motion to dismiss a legal claim arising out of speech on a matter of public concern or that relates a public official or figure. Once the motion is properly brought, the nonmovant must show that the lawsuit is supported by a prima facie showing of facts sufficient to sustain a favorable judgment. If the nonmovant fails to meet this burden, the lawsuit is dismissed with prejudice. Section 4203. Governmental Litigation and Commercial Speech Exceptions. A special motion to dismiss may not be brought against a claim that is brought by the Federal government or a State Attorney General, or that arises out of speech offering or promoting the sale of the speaker’s goods or services. Section 4204. Interlocutory Appeal. Either side may bring an immediate appeal of the denial or grant of a special motion to dismiss. Section 4205. Special Motion to Quash. A party may move to quash a request to obtain the personally identifying information of a person that is made in relation to a legal claim arising out of speech on public issues. (E.g., a company seeks discovery from an ISP of the identity of persons posting unfavorable comments about the company’s goods or services on a blog.) If the motion to quash is properly brought, the nonmovant must show that the legal claim is supported by a prima facie showing of facts sufficient to sustain a favorable judgment. If the nonmovant fails to meet this burden, the request for personally identifying information is quashed. Section 4206. Removal. A state-court claim arising out of speech on public issues may be removed to federal court by a party that intends to file a special motion to dismiss the claim. Removal may not be requested on the basis of a cross claim or third-party claim. (This exception is made to prevent defendants from removing cases in which the complaint does not assert claims arising out of speech on public issues.) A proceeding to enforce discovery requesting personally identifying information may also be removed, but removal is limited to the discovery-enforcement proceeding. Section 4207. Fees, Costs, and Sanctions. A party that prevails on a special motion to dismiss or quash shall be entitled to reasonable attorneys fees and costs. Frivolous motions to dismiss or quash or remove shall be subject to sanctions. Fees may not be recovered by the government, or in cases that turn on the resolution of a novel legal question. This may pass the House, but not the Senate in its current makeup. And even if the Senate becomes heavily populated with Republican Senators, will it still get passed? We all know how plain common sense is cast aside and self preservation becomes the number one priority when the levers of power are gained. and posted it on Facebook and Twitter. Help me spread the word about this bill. Good post. I'll twitter it too.